In places which are not as frozen as they were, amazing discoveries have been made. In 1991 two hikers in the Alps found a body. They were shocked, and reported the find. It was even more extraordinary when the investigation found that the body was thousands of years old. The clothing, weapons and other items found with the body give a glimpse into life when metal was first being used. Tests later confirmed the iceman dates back to 3,300 BC. He probably died from a blow to the back of the head. His body was so well-preserved that scientists were able to determine that his last meal was red deer, herb bread, wheat bran, roots and fruit. He lived at a time, over 5,000 years ago, when the Earth was starting to cool. So when he died high in the mountains, his body became covered with snow. 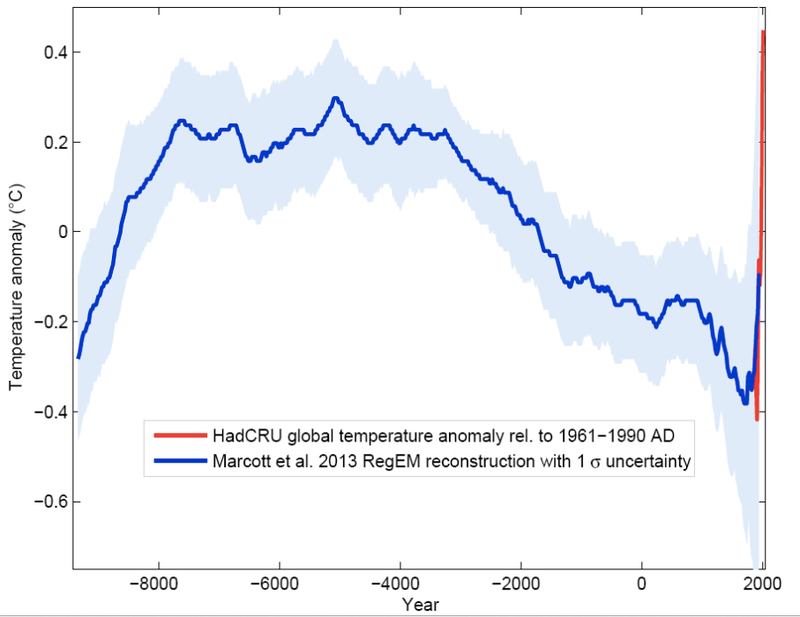 Modern warming (shown by the red part of the graph) made it possible to find him.